101 DFN- Phase 4… The Summit Push! Our final phase of the first Thrive Outdoors “101 Days From Now…” Lifestyle Challenge is here! Phase 3 was a bit difficult for me. A few trips for work and preparation for a deployment have taken priority over some of my goals. The opportunity to have food and drinks with my friends and family has been more enticing than keeping my routine at the climbing gym… Still, I am in a better place than I was when the challenge began. Surely, you are too. 101 Days From Now, I am in the best shape of my life! We are embarking on a 101-day challenge beginning with goal setting and then phased mile markers along the way to create permanent lifestyle changes. If you are just joining us, be sure to check out the first post here. You can find all 101 DFN posts in the “+101 Days From Now” link in the header menu. Well… Here we go challengers! Nice work making the commitment, setting your goals, and visualizing where you will be in 101 days. I’ve got some good feedback so far, and folks are really getting down to business. Phase 2 is here. That means your goals are set. Your initial training program begins. You are taking the action steps that you planned for this phase. Today is the day that you stop working out and start training. 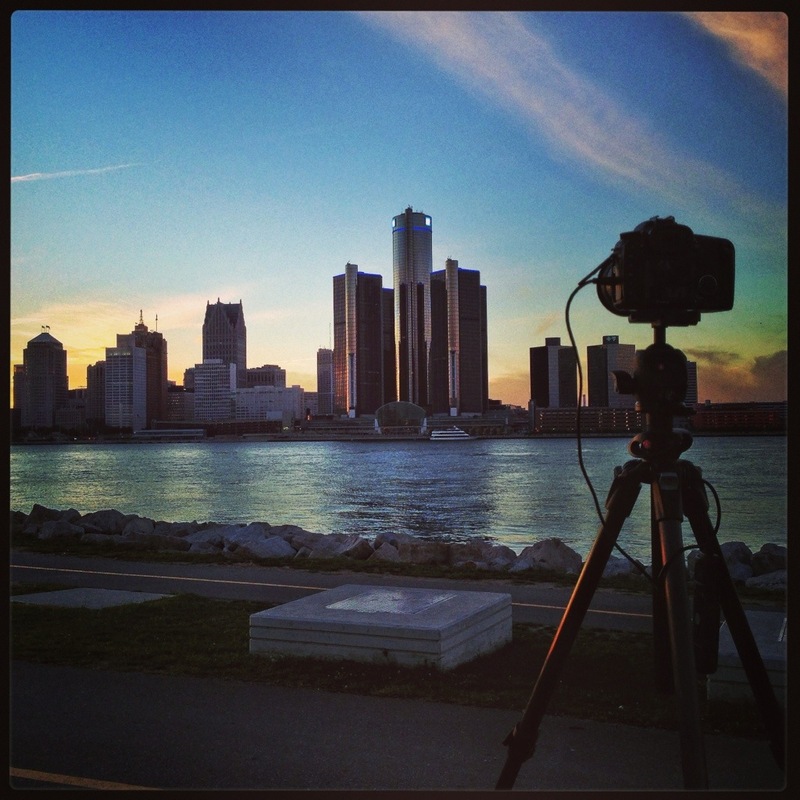 I’m writing this post as I sit on the Windsor-Detroit border during downtime after a work trip. I’m watching the sunset, making a timelapse of the city lights, and reflecting on the goals I have set. Do I really have what it takes to achieve them? Yep. I got this. So do you. It’s on! Use the rest of this weekend to really sit down and think about how you will make the next 30 days count. Stay tuned next week for some awesome recipe ideas from Erica, and some insight on sacrifice from John. We’d love to hear what you have to say, and how you are achieving. Hit us up! 101 DFN… Time to Set Some Goals! What have you accomplished 101 days from now?